There’s a battle for animation in your browser that will begin seriously heating up over the next year. Will the video capabilities of HTML5 mean the end of Adobe’s Flash? How badly has Apple’s ban on Flash on mobile devices hurt the program? More than the poor implementations of Flash by web designers who value looks over content? What about Adobe’s new Edge program; will it cannabilize Flash from within their San Jose headquarters? My biggest complaint about Flash is that it slows down my access to the content I want to get at in web sites; restaurant sites are one of the worst offenders as a class in this regard. These animations also discourage repeat visits. It’s a very rare Flash animation on the web that bears repeat viewing, in my view. 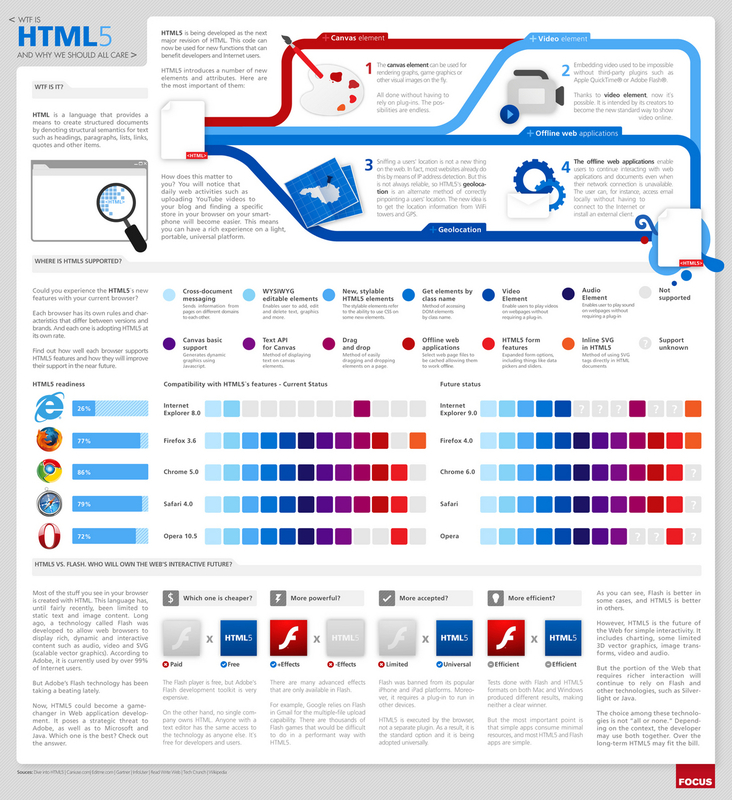 Here’s an interesting infographic about Flash versus HTML5 (below). It will certainly answer some of the questions you have about the upcoming transition.